Merchant Mariners aboard a training ship. Families in Matthews, Virginia, sacrificed much during World War Two when a large group of sea captains from the town were sent to help with the war efforts. 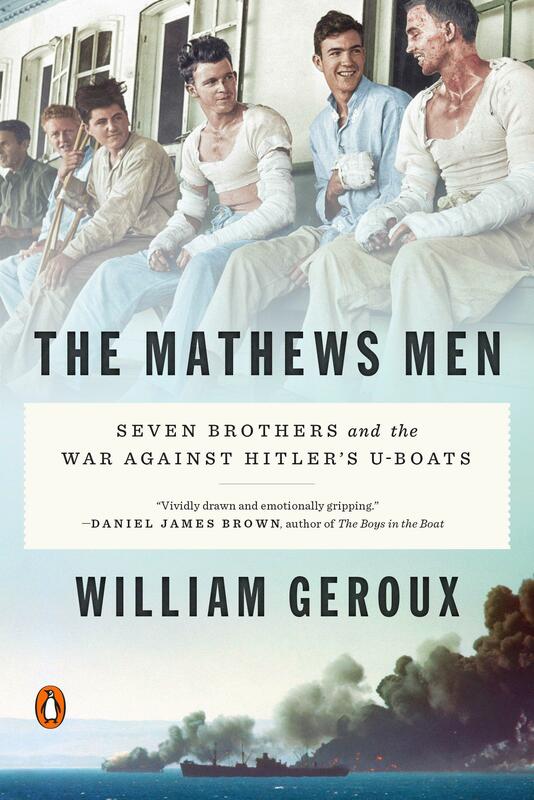 Author William Geroux chronicles the heroic story of one Matthews’ family whose seven merchant mariner sons suddenly found themselves in the cross-hairs of Hitler’s U-boats. 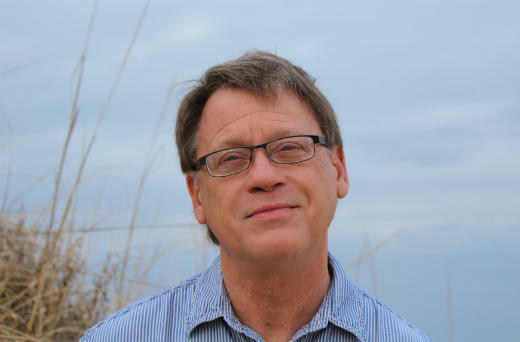 William Geroux will speak at Books & Brews in Harrisonburg on October 9 and in Crozet on October 10. He spoke with WMRA’s Chris Boros about how some of the Matthews Men survived when odds were against them. William Geroux Speaking With WMRA's Chris Boros about "The Matthews Men"
WMRA: Who were The Matthews Men? Geroux: The Matthews Men were a group of merchant sea captains and they were sailing them in World War II in particular when they were just getting savaged by German U-Boats which were sent over here to this side of the Atlantic to destroy merchant ships. They hauled all the cargo, all the ammunition, the tanks, the planes. Hitler, the U-Boats, were determined to stop them – that was their main job. And most of these ships were older, they were defenseless, they were slow, they were really sitting ducks. WMRA: Talk about the family of Captain Jessie and Henrietta Hodges and their seven sons. That’s a bit portion of your book, right? Geroux: They are one of many families in little Matthews County that was very heavily involved in the US Merchant Marine and the Hodges in particular had a father, the patriarch of the family Captain Jessie Hodges who was a tough old tugboat captain. He had seven sons and all of those sons would go on to become captains of merchant ships. At one point during the war, a lot of these brothers were out sailing – together they went everywhere. They experienced pretty much everything. Everybody in Matthews knew somebody – either had a family member or had a close friend who was on one of these ships that was being attacked. And quite a number of them in Matthews were killed, and the ones who didn’t had these hair raising survival stories with sharks and fires and rough seas and things like that. WMRA: Have you been to Matthews? Geroux: Oh yeah. I’ve spent a great deal of time in Matthews and Matthews is a very small place. When I started working on it, I went there and somebody gave me a name and I went to talk to a guy and I would always ask them “Do you know anybody else around here who was involved with the story?” And they would say “Oh yeah, go down to the end of the creek here and talk to Betsy, her father was killed by a U-Boat. WMRA: What about during the war? Did they know this was happening? Geroux: They knew better than most people in the country did because most of the country was focused on the war ships. WMRA: They must have been in a lot of danger, not just from the U-Boats. Geroux: Going to sea of course was dangerous but they were also attacked by bombers. There were a lot of things to be concerned about. It was really dangerous work and the casualty rate was very high. WMRA: So for the men who survived, how did they do it? Geroux: Perseverance. When you were torpedoed on a ship, sometimes you were lucky. Sometimes it was very easy. Some people were torpedoed and they’d get into a life boat and get picked right up and never get their feet wet. But other people went through these terrible ordeals. There were literally people who were attacked by sharks and who drowned, froze to death and drowned in rough seas and huge waves. Sometimes the oil fill in the water and catch on fire and create these flaming oil slicks and people would die. But some of these guys would survive over and over again. There’s a guy mentioned in the book that survived being torpedoed ten times and went right back out. When he got back, he would spend thirty days – you could recuperate and then you had to be back out on another ship or you would be drafted. WMRA: General Dwight D Eisenhower said “There’s no organization that will share its credit more deservedly than the Merchant Marine.” I assume you agree with this? Geroux: They certainly deserved the credit. They ended up not getting much credit, but they certainly deserve it. They were responsible. These guys I think were sort of left out of the history books and government benefits and everything so it was a sad story for them but they still took part in it. WMRA: Well they’re getting some credit now because of your book. Geroux: Yeah. Hopefully the book will help people see what these guys did. Our October Books & Brews features author William Geroux discussing his book The Mathews Men: A heroic story through the experiences of one extraordinay family whose seven sons (and their neighbors), U.S mercant mariners all, suddenly found themselves squarely in the cross-hairs of the U-boats bearing down on the coastal United States in 1942.